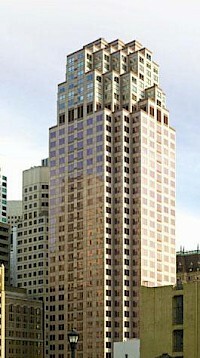 333 Bush Street is an office skyscraper located in financial district of San Francisco, California. The 43 floor, 151 m (495 ft) building designed by Skidmore, Owings and Merrill was completed in 1986 and contains seven stories of separately owned residential condominium space. 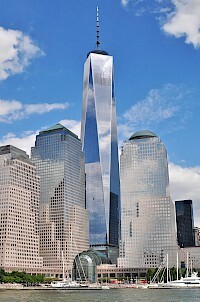 7 World Trade Center is a building in New York City located across from the World Trade Center site in Lower Manhattan. The name "7 World Trade Center" has referred to two buildings: the original structure, completed in 1987, and the current structure. 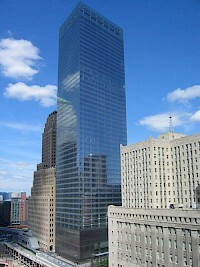 The original building was destroyed on September 11, 2001, and replaced with the new 7 World Trade Center, which opened in 2006. 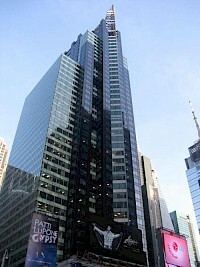 919 Third Avenue is an office building in New York City, built in 1971, and is located at the intersection of 3rd Avenue and East 55th Street in Manhattan. 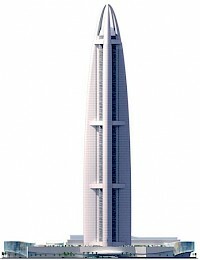 919 Third Avenue The building is 615 feet (181 meters) tall with 47 floors. 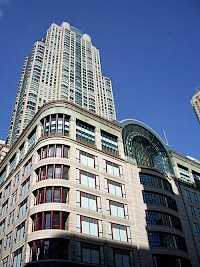 The building was designed by Skidmore, Owings and Merrill. 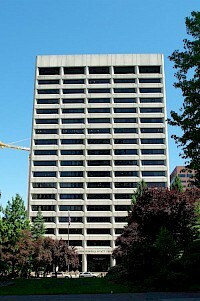 The Edith Green – Wendell Wyatt Federal Building is a high rise structure in downtown Portland, Oregon, United States. 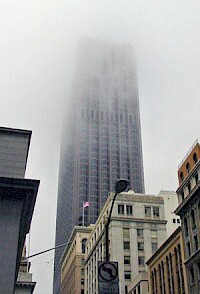 Opened in 1975, the 18 story-tower is owned by the Federal Government. The international style office building has more than 370,000 square feet (34,000 m) of space. Designed by the Skidmore, Owings and Merrill architecture firm, the building is named after Wendell Wyatt and Edith Green who both served in the United States House of Representatives. 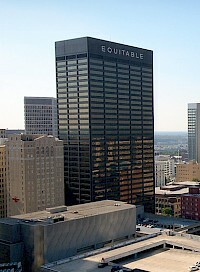 The Equitable Building is a 35-story, 453 foot (138 m) tall office building in Atlanta, Georgia, located at 100 Peachtree Street in the Fairlie-Poplar neighborhood in downtown Atlanta. 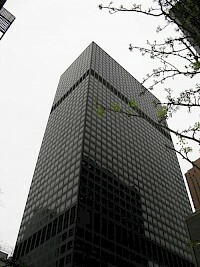 A typical example of an International-style skyscraper, the building was designed by Chicago-based architectural firm Skidmore, Owings and Merrill, and was constructed in 1968 on the site of the former Piedmont Hotel.